Last edited by UnlikeUday on Thu Apr 11, 2019 11:03 am, edited 1 time in total. Race 800 was the 2008 Singapore Grand Prix, race 900 was the 2014 Bahrain Grand Prix. Hopefully another crazy/great race. Cant see past a dominant Leclerc win here.. unless Mercedes have managed to find something. 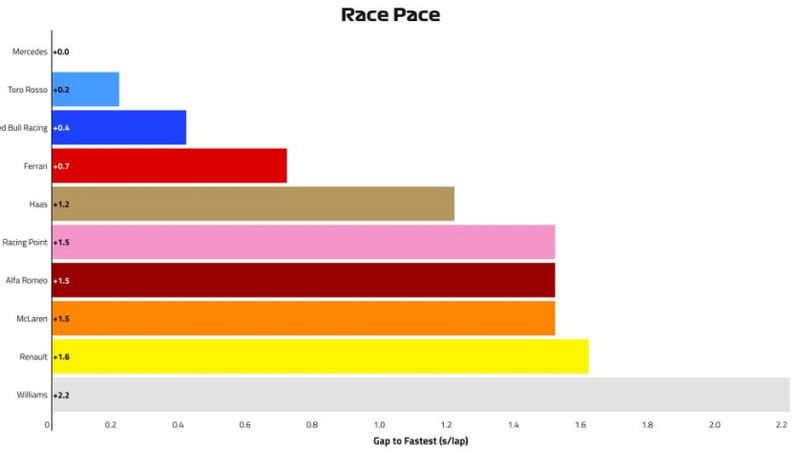 The top five finishers have been the same drivers in both of the first two races. I wonder if it has ever happened before and looking at the predictions for this weekend it seems like most expect it to happen again. No rain expected during the weekend! This happened many times last year too, (with both the same top 5 and same top 6 even). Remember modern day F1 is more predictable than ever. Sorry, my original post wasn't clear. I was wondering if the top five finishers have been the same in three consecutive races. Which having checked happened in Italy, Singapore and Russia last year. Ferrari pole by 3/10ths. 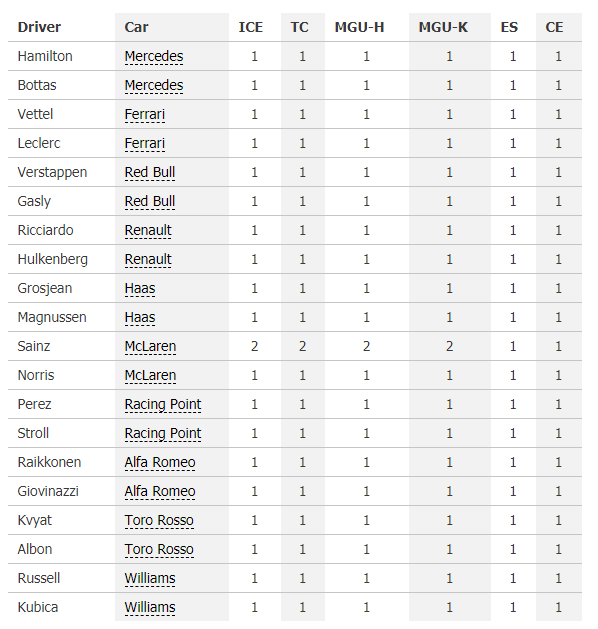 RBR a further 1.2 secs behind Ferrari. RBR has been disappointingly slow at the start of this year. Is it the Honda power unit or is the chassis not that great? Only 0.6s covering the whole midfield, and Williams within a second of that. Hope to see the gap from 1st to 6th close up, but I feel like a wider gap from midfield to Williams is more likely. Leclerc's Ferrari has been in the garage for a long time and he's now formally hanging up his helmet. 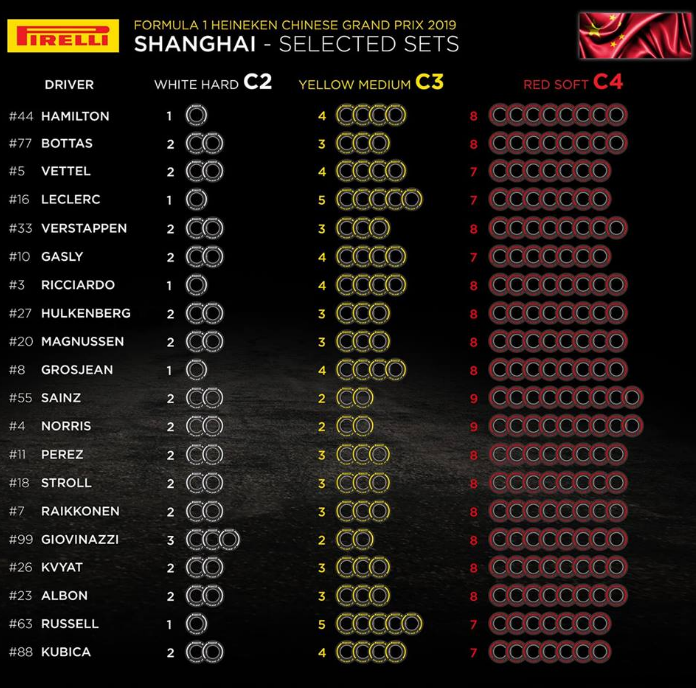 Ferrari reliability not looking too impressive so far this year. Yes, the midfield race (+ Gasly) shaping up as a classic. Am I meant to be surprised that for the 1,000th Grand Prix the Ferrari second driver is having problems, whilst their number 1 is not ? Can you really say that Leclerc having problems in FP2 is a conspiracy? Is there not ample time for the team to remedy the issue before qualifying? Would Ferrari not equally enjoy producing the 100th different grand prix winner at the 1000th grad prix as they would having their #1 driver win? Yes, I am sure that they are deliberately sabotaging themselves. It makes perfect sense. Playing the ultimate long game! Mercs new front wing is apparently illegal. 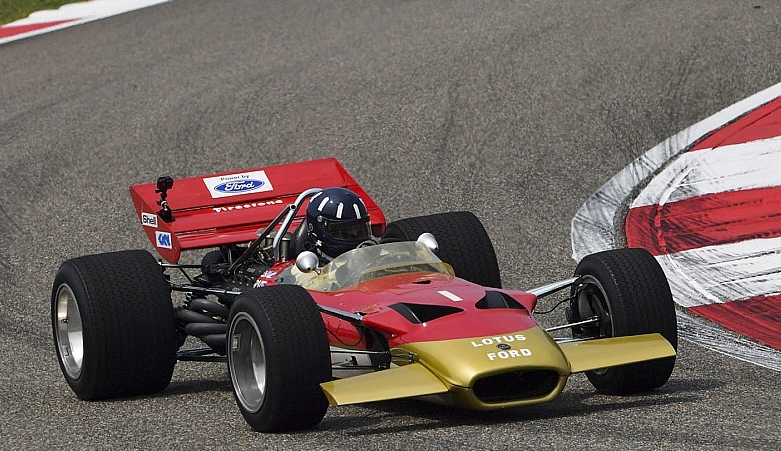 Damon Hill driving his father's Lotus car from 1969 at a demo today in Shanghai. Wish F1 cars were still like this - Gorgeous but hard to drive. 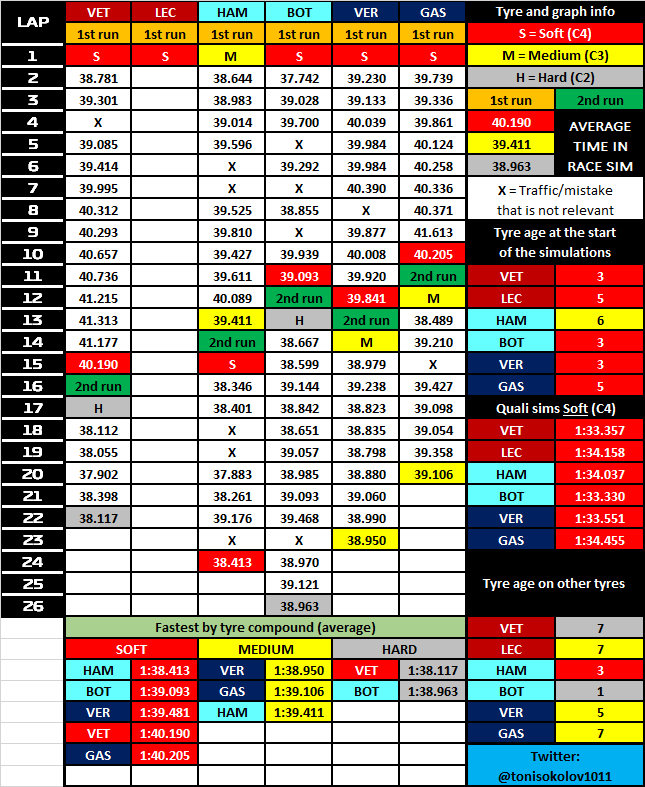 A user on Reddit, u/Nexsus1011, went through the effort to compare race simulations across the main 3. Hopefully he doesn't mind me posting his hard work here! Toro Rosso have fitted new power units to Kvyat and Albon's cars as a precautionary measure. 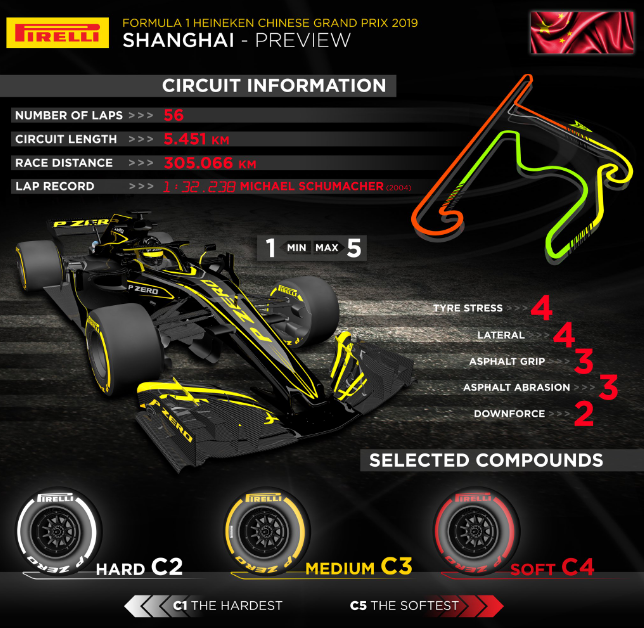 Wonder if they will use the new units for Quali and the Race??? Not that the penalties would hurt them all that much. Yeah, that's got to be a lighter fuel load or more aggressive engine map from some of the others. Albon's car destroyed after a big shunt at final corner. Don't think e'll make it for qualy. He's fine but his car has too much damage. Was doing good, finished 9th in FP3. I'm guessing they won't be using Albon's new unit for quali or the race! With Bottas performing well, RedBull should offer Mercedes-Benz whatever they want for Ocon's services. Heck, they should offer any of their four drivers and thirty million dollars to get Ricciardo back from Renault. That Williams looks like it's lacking a lot of grip. Looks a bit of a mess to control. So is the sport doing anything of note to commemorate the 1000th GP? Other than plastering the number 1000 everywhere? 1. No DRS meaning no gimmicky contrived passes. 2. Whatever powerunit the drivers start the weekend with, this should be its last race appearance. Run at more than 75% of performance potential all race. The driver's should be on the limit more than 5% of the time, like when the racing was exciting from 1994 through the end of refueling. 3. No fuel limit - if the cars can carry it, let them. If they can't then refuel during the race. 4. Local yellows only. That's what once made F1 better than US-centric series. 5. Leave tire selection up to the teams. Two compounds for the same conditions? Why not pick one tire to overinflate? It would be just as ridiculous. Well he found some pace at the end of that Q2. Hopefully will last. 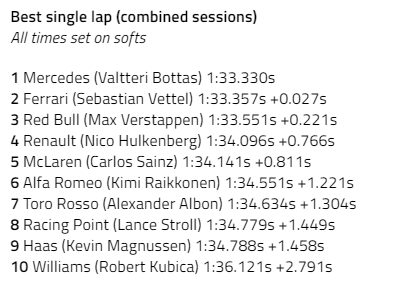 Herbert and Rosberg apparently missed that Verstappen was well on his way to setting a new best time on Softs when he backed off. They really want Bottas to have an advantage in his extra set of new Mediums that he probably has lost. 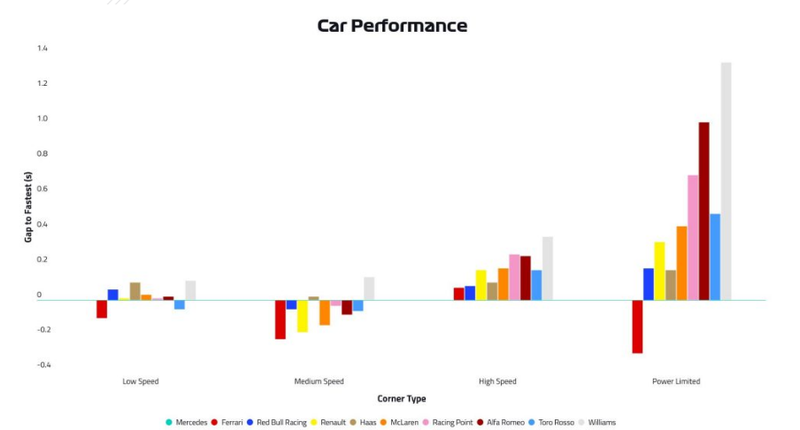 Hamilton on Softs could be extremely fast.